Here at CLUB-Graphics we use our expertise to help you get exactly what you want from your Website, Marketing Materials and Signage. We have over 20 years experience in the design, print & sign industry. Using this experience, we provide a professional and reliable service. We design easy to navigate websites, business stationery and marketing materials that match or compliment your existing corporate image or help you create a new one. We like to listen to our customers and work with them to achieve their desired result. 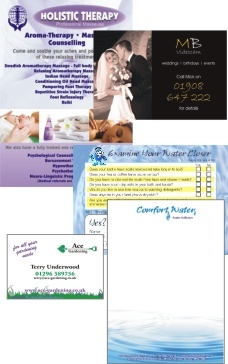 We can also market your business online or through flyer distribution within the Milton Keynes area.